Limit alcohol to 2 drinks a day for men and 1 drink a day for women.footnote 1For more information, see Coronary Artery Disease and Alcohol. Stay at a healthy weight. Being overweight makes it more likely you will develop high blood pressure, heart problems, and diabetes. 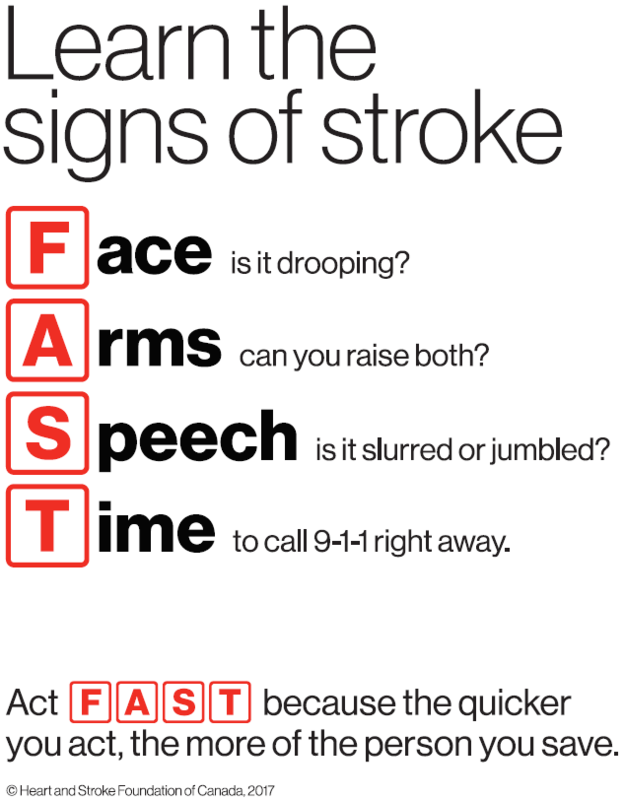 These conditions make a stroke more likely. For more information, see the topic Weight Management. Try to do at least 2½ hours of moderate to vigorous activity each week spread over at least 3 days that are not in a row. It is fine to be active in blocks of 10 minutes or more throughout your day and week. For more information, see the topic Fitness and Exercise. Try to limit stress. For more information, see the topic Stress Management. If you are diabetic, it is important to control your diabetes. To learn more about how to manage your diabetes, see Diabetes. Don't neglect your affected side . 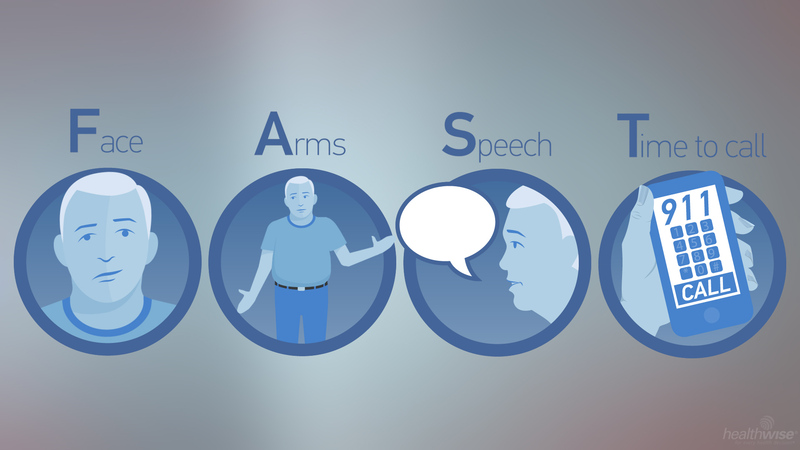 It's natural to favour the side of your body that wasn't affected by stroke. But it's important to pay attention to the rest of your body too. Help with speech problems . Your loved one may have trouble communicating, which can be very frustrating. You can help by speaking slowly and directly and listening carefully.